A spiritual director is essentially a co-listener. He or she helps listens for the movement of God’s spirit in the everyday life of the directee. This person can be a priest, a religious, or a lay person. St Ignatius believed that the “Creator communicates directly with the creature.” This means we can hear the voice of God through the movements of our soul, and the feelings and experiences we have. A spiritual director helps the directee sift through all these things, paying attention to where God might be present and active. A good director essentially holds up a mirror before their directees, helping them be more reflective on the ways God is active in their life. Sometimes a director may point out something of God in the directee’s story that the directee was not aware of. Direction may also include an exploration of prayer, one’s deep desires and longings in life, a discovery of ways to deepen one’s relationship with God, or the discernment of life’s important decisions. You typically meet with your director for about an hour, once per month. While each director may have a different style, some may open with a prayer or some silence. You are then invited to share about what’s been going on in your life, how your prayer has been, or how you’ve felt God’s presence or absence. The director may ask you questions to help guide the conversation or help you go deeper into your life’s experiences. The mission is ultimately to notice God’s presence and movement in the ordinary parts of your life. Depending on your preferences the spiritual director may give you suggestions or material for prayer. It’s important to note that spiritual direction is not psychotherapy. Some may benefit from both therapy and spiritual direction, but spiritual direction’s focus is on one’s relationship with God in the context of one’s life. 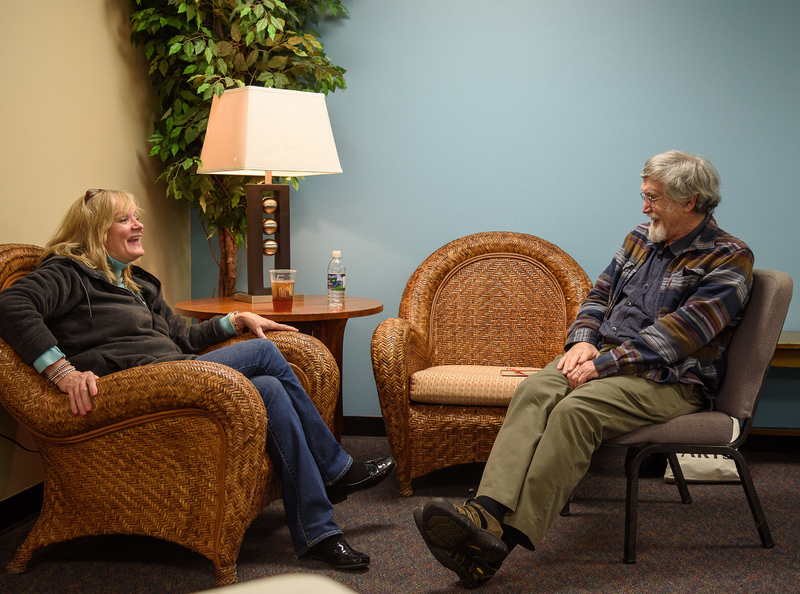 Therapy uses psychology to treat psychological issues. A spiritual director is also not the same as a guru. Her or his role is not to tell you how to live your faith life or to speak for God. The director’s role is to listen and discern with you for God’s presence in your life and to ask questions that can help you better notice the ways God is active in your life. While direction may include suggestions for you to apply to your spiritual life, the directee is the one who must ultimately discern what is best for his or her relationship with God. A retreat is an opportunity to get away from your normal routine to spend intentional time in quiet and prayer. Most people book a retreat at a retreat center (see the links to the right). Retreats can be a single day, a weekend, or a week. Retreatants may include talks, Mass, formal prayer, and the opportunity to meet daily with a spiritual director who can offer guidance for prayer. For those who cannot make it to a retreat house an alternative is an online busy person’s retreat. This kind of retreat happens in your daily life and at home, but you set aside a period of intentional prayer time and meet with a spiritual director each day by video chat. Click here for an offering of Ignatian Busy Person’s Retreats. Spiritual Directors International has a listing of spiritual directors around the world from many different faith traditions. The Jesuits of the East can connect you with a spiritual director close to you. Just fill out the form and wait to hear back. There are many religious orders who have an Ignatian charism: The Sisters of St Joseph, the Cenacle Sisters, Sisters of Notre Dame, Sisters of Mercy, and the Sisters of the Sacred Heart – to name a few. Retreat centres typically have a listing of local spiritual directors. See the links below to locate a retreat house. See these links to find Jesuit Retreat Centres in the US, Canada, Great Britain, Asia Pacific, South Africa. An Online Busy Person’s Retreat is an option if you’re unable to make it to a retreat centre.